Yes it's Random Acts of Shifeness but I just thought I needed to change the name, and I felt it would have been false advertising if I called it "Deep Thoughts." And I think "Shallow Thoughts" might be stretching it since I'm just sharing mostly pictures. I don't know if my future financial outlook looks promising based on how much fun Hayden had trying to grab as much money as possible. What do they say about a fool and his money? 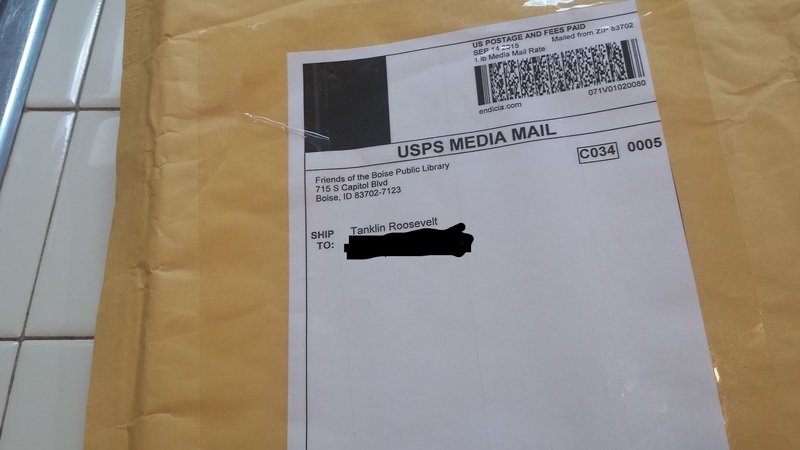 Tank got some mail. Yes that is what I call my dog sometimes. 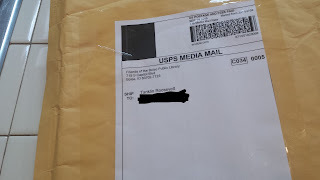 There's a story behind the mail but it will have to wait for another day because the final chapter hasn't been written yet. 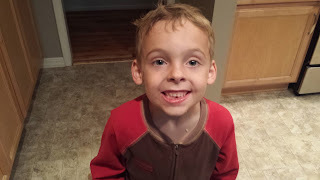 We got a visit from the tooth fairy this week as Kyle lost his first tooth. Don't mind the apple all over his face. We didn't have time for hair and make up. When you have breaking news, you have to get the story out there. What do you think of Kyle's magic show? I recorded his rehearsal and he did all of the work setting up the stage, the seating area and making invitations. Unfortunately it rained so he didn't get to perform but I thought he was pretty entertaining. I might be a little biased. Congrats on the big guy tooth! Gotta love the exuberance of children. I enjoyed Kyle's magic show. Now I'm curious about tank and the mail but WOW to the magic show and losing the first tooth. You the tops, Kyle. Congrats on the tooth fairy showing up. I do think that the magic show has potential. a fool and his money? a closet full of gadgets that seemed like a good idea at the time. kyle's magic show was excellent. may i recommend ricky jay, deceptive practices. it would be a great show for you and kyle to watch.